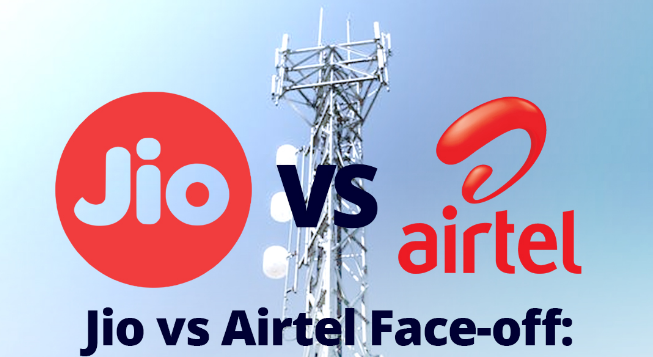 Airtel and Tata Sky are bracing for a shakeup ahead of Jio GigaFiber's commercial launch with a disruptive potential similar to Reliance Jio's that triggered a price war affecting players like Airtel, Vodafone and BSNL. The impact of the upcoming commercial launch of Mukesh Ambani's Jio GigaFiber fibre-to-the-home (FTTH) service is going beyond broadband internet services and shaking up the direct to home (DTH) content market as well. Market observers think that the Jio GigaFiber could do to the DTH market what Jio did to mobile telephony. FTTH service prices have already taken a beating with the soft launch in August last year of Jio GigaFiber. Bharti Airtel and Bharat Sanchar Nigam Limited (BSNL) introduced new plans for their broadband services soon after Jio GigaFiber's beta launch. The changes to service conditions included the removal of the limit for many plans thus providing users unlimited usage facility. With the broadband market shaken up, the DTH field is also abuzz with winds of imminent changes. Market observers read the beginnings of a consolidation trend in the DTH market in Airtel's new interest in largest DTH operator Dish TV. Airtel's own DTH service is in the third spot after Tata Sky. Its interest in Dish TV is seen as an attempt to consolidate market share ahead of Jio Gigafiber's commercial launch, media reports say. Airtel, along with partner Singtel, is considering buying the 60 per cent promoter stake in Dish TV for more than Rs 6,000 crore, a recent report in Business Standard said. Tata Sky is also scouting for new investors ahead of the Jio launch expected by the second half of this year. Tata Sky has been forced to look for new partners as Temasek and Tata Opportunities Fund, who together own 19 per cent stake, are looking to exit, the report said citing industry sources. Tata Sky is majority-owned (51 per cent) by Tata Sons and 30 per cent by Walt Disney Co, who last month completed the acquisition of 21st Century Fox, which previously had 30 per cent stake in Tata Sky. The integration of the Indian units of Walt Disney and 21st Century Fox is underway, according to the report. Jio GigaFiber is currently live on a preview basis in Mumbai, Delhi-NCR, Ahmedabad, and Surat. Media reports say Reliance is also offering connection speeds of up to 100mbps (megabytes per second) as part of its GigaFiber service, with the download limit set at 100GB. Users pay a refundable amount of Rs 4,500 for the high-speed router during the beta period. Reliance has a deal with cable companies Den and Hathway, which it acquired last month, to solve the last-mile connectivity issue in some areas, sources say. "DTH players face a twin challenge," Abneesh Roy, senior vice-president, research, institutional equities, Edelweiss, according to the report. "One is a content challenge thanks to over-the-top players who've been driving up viewership in the last few years. The second is a distribution challenge. DTH players do not provide internet services, which put them at a disadvantage compared to other distribution platform operators."